People spend more time using their mobile devices but many websites are still not optimised for different screen size and load times, which may include yours. Mobile Optimisation is the process of delivering excellent an user experience to visitors who will access the website using mobile devices. 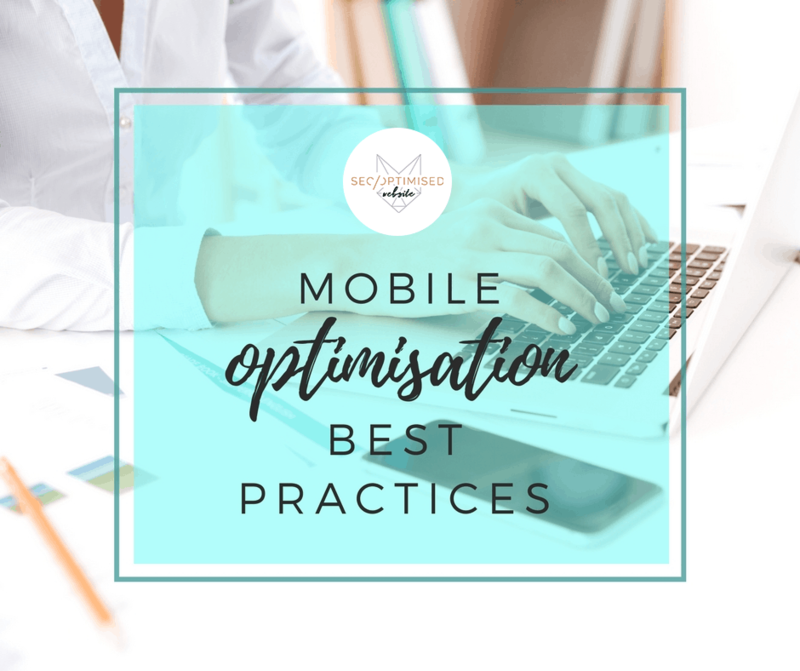 This will assess your website design, structure, page-speed, content, images and more elements.Below are the Mobile Optimisation Best Practices you can apply to your website for better online performance and drive more traffic. However, if your website is well-optimised for search engines, there is only less work for you. Without further ado, let’s get the ball rolling. Mobile is different from website, hardware and connectivity issues may arise this is why page speed matters more for mobile users. Aside from optimising the images, you may also want to minimise your website code, enable caching and lessen the redirects. In this way, your web pages will load faster which is crucial in keeping your visitors in the website. Do not use Flash plug-in because it may not appear on the user’s mobile phone but you can still do special effect using HTML5 instead. Do not include pop ups because it can be difficult to close on mobile devices especially on small screens. It can disappoint your visitors and might end up losing them. Website buttons should be designed for fat fingers but not too big or too small. Touch screen are sensitive and navigating a website can lead to accidental clicks. Be sure to make your important call-to-action buttons on the moderate size. Content should be readable and the recommended font size is 14. It is difficult to read content with small fonts on a small screen. Mobile only gives you lesser screen space so it is a best practice to optimise your Meta titles, URLS and description by making them concise as much as possible without sacrificing the quality of information. You may want to use Schema.org structured data to improve the way your page is display on the search engine results page (SERP) with rich snippets that displays more information about your page. If your products and services are only offered to local areas, then your website content must be optimised for local search. This include standardising your name, address, phone number, city and state name in your website’s metadata. It is also recommended to include city and state to your title tags, heading, URL structure, page content and alt tags. The most important decision to make in optimising your website for mobile devices is choosing from responsive design, dynamic serving or separate website configuration. Google prefer responsive design but supports all the three options. Responsive Web Design – A responsively-designed website that provides the same website content to both desktop and mobile devices uses CSS media queries. A fluid grid and responsive design will automatically resize the website to suit the size of the user’s screen. Dynamic Serving – If you are not able to make your website design responsive or perhaps wish to display different content to desktop and mobile users. With dynamic serving, you can use only one URL but can display different sets of CSS and HTML depending on the type of visitors you have. Separate Mobile Website – The third option is to create a second website designed for mobile users. Make sure you used site redirects to imple page speed, canonical tag to avoid duplicate content and put a mobile subdomain for the website to avoid URL confusion. Website mobile optimisation is an effective way to ensure excellent user experience since young people and even those in their twilight years are using mobile devices to search the internet today. Applying our guide to best practices can help you meet the requirement of search engines as well as deliver optimum mobile user experience to everyone. Hope this help you out!